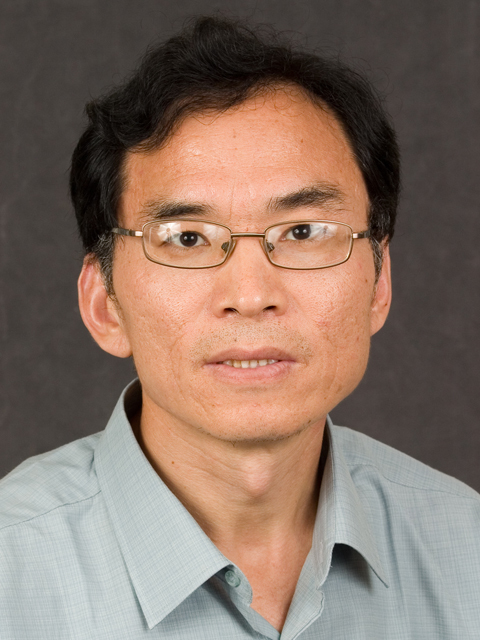 Yuncong Li’s research program focuses on developing management practices to improve nutrient use efficiency, plant nutrition and water quality; characterizing nutrient cycling in calcareous soils; and determining impacts of agriculture on South Florida’s natural ecosystems. “The unique soils, climatic extremes and diverse commercial crops and native plants have posed great challenges to our soil and water research program in South Florida,” Li says. His research group developed a simple one-point isotherm method to predict saturation and leaching potential of phosphorus in calcareous soils. They also found that apatite formed in calcareous soils farmed for many years. They are developing and facilitating the implementation of best management practices (BMPs) for various crops in south Florida. Li and his collaborators introduced South Florida to a legume cover crop – sunn hemp – which produces up to 12,000 kilograms dry matter and fixes up to 300 kilograms nitrogen per hectare. He showed sunn hemp suppressed nematodes, and that vegetables planted in sunn hemp plots produced more marketable fruits. He also developed management practices to utilize biosolids or composts, which significantly increased soil organic carbon, soil nutrient availability and crop yields but avoided trace metal accumulation in soils and nutrient leaching into groundwater. “These findings have led to signifciant improvements in fertilizer practices/technologies, crop yields and protection of the fragile South Florida ecosystem,” says Van Waddill, senior director of the Tropical Research and Education Center in Homestead. Water quality and quantity issues are of considerable concern because of the excessively porous, limestone-based soils that overlay the shallow aquifer in South Florida. Li has established one of the best water quality monitoring networks and analytical laboratories in South Florida with state-of-the-art technology. During the last five years, Li has received more than $4.19 million in extramural funding from federal and state agencies, grower organizations and private companies. His patent on a slow-release oxygen fertilizer is pending.